Do you have a Friday night tradition? Is it pizza night? Popcorn and movies? Tyler and I don’t normally have Friday night traditions, but tonight it is rainy and my siblings brought us a DVD of their play to watch. 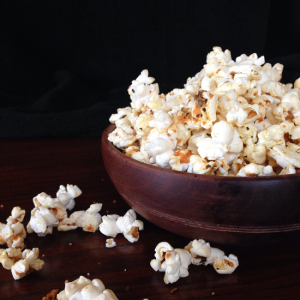 So tonight we are going to curl up and watch the play and eat this pizza popcorn together. Actually, I will eat the popcorn. Tyler doesn’t like popcorn for some odd reason. He says its the texture. I say he is weird. Although in his defense, while it was baking he came into the kitchen and asked what was smelling so wonderful, but I had to disappoint him by telling him it was popcorn. (I did cook him a nice supper then.) But this is amazing popcorn! And I think even he should like it. 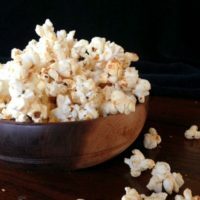 Its salty and buttery, just like good popcorn should be, but the Parmesan cheese and spices add a burst of flavor not usually found in popcorn. From start to finish it takes less than 20 minutes. Which is nice because when the movie is about to start who wants to be slaving in the kitchen whipping up an elaborate snack. Just pop some popcorn, microwave if you want. Melt some butter, add the seasonings, stir to coat. Spread it out on a cookie sheet and bake for 12 minutes till crispy. Enjoy it while its hot! Melt butter and add Parmesan cheese and seasonings. Pour over popped popcorn and toss to coat. Dump onto a cookie sheet and bake for 12 min at 350 degrees. Sounds yummy! I think just about any kind of popcorn is good! mmmmmmmm, yes please! i need this on my gluten-free list of yum! hope you’ll stop by my blog soon and find more lovely! Hi Michele, Thanks for stopping by. If you try it, let me know how it goes. I would love to check out your blog! Our Friday nights are usually pretty low key. 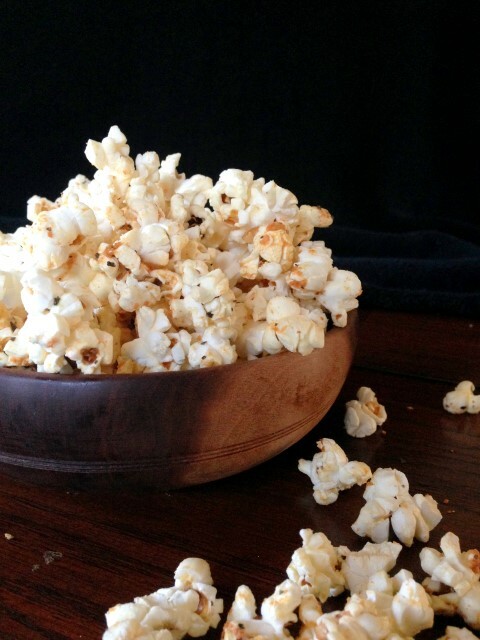 This popcorn would be a yummy addition! 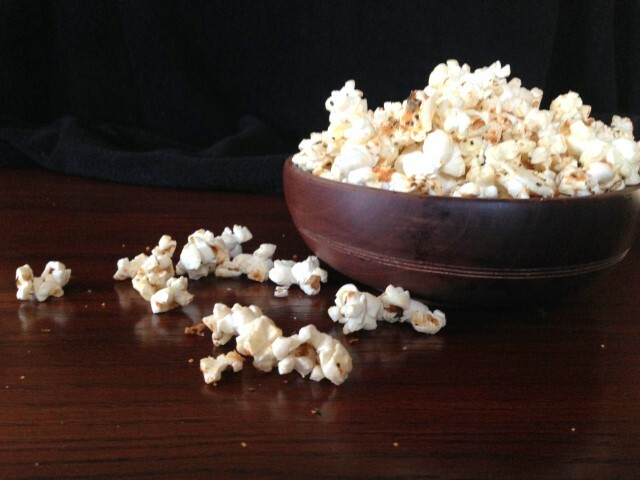 We always make fresh popcorn and love to flavor them. This sounds like something to try. Pinned. Mallory, I am SO in love with this popcorn! My boys are definitely going to go crazy with it, pinned!